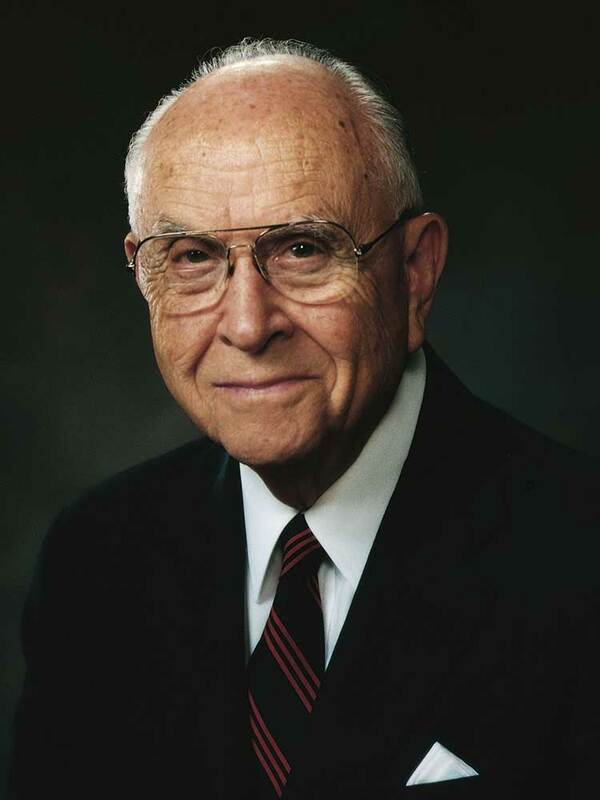 Elder David B. Haight (born Sept 2, 1906, died July 31, 2004) was sustained as a member of the Quorum of Twelve in 1976. He passed away at age 97, four days after attending the funeral of his colleague Neal A. Maxwell. He was the oldest person to have served as an apostle in this dispensation. "Love is a gift of God, and as we obey His laws and genuinely learn to serve others, we develop God’s love in our lives. "Love of God is the means of unlocking divine powers which help us to live worthily and to overcome the world. "The worldly methods of promoting great causes were discarded by the Savior. Money to buy influence—He had none. Publications—He never used. The sword was contrary to His purposes. The people of His own nation disowned Him. He planted His ideals in the hearts of only a few. They were mostly poor; but they met, listened, prayed, and believed in His words. As taught by the Master, they went among other men and by act and word passed on the new ideals, by love unfeigned and by friendship, not by force; and so the work spread. "God accomplishes His purposes heart to heart." We are blessed more than we realize as we experience His love in our personal life, and as we learn to share and express it with those around us. 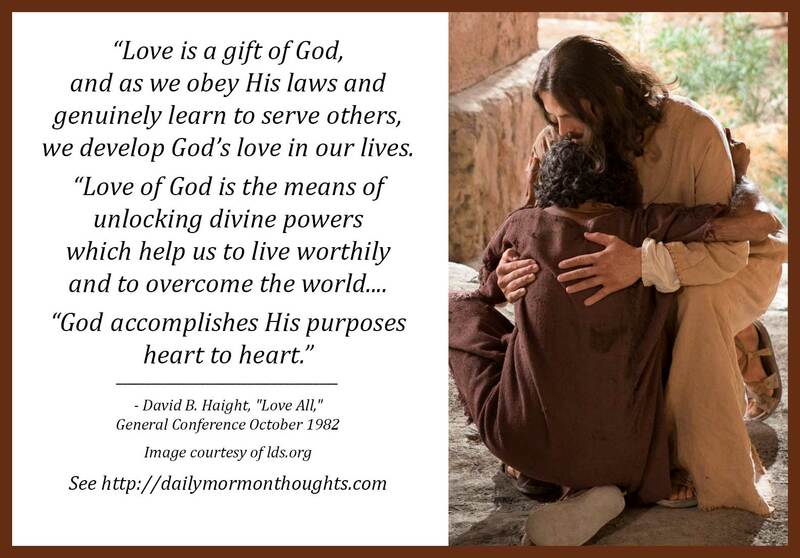 Learning to "unlock divine powers" is truly a remarkable gift.